Thanks to the leadership of the Washington State Legislature, the Washington State Opportunity Scholarship (WSOS) is thrilled to announce that our innovative public-private baccalaureate scholarship program is expanding! In a first since our program’s inception in 2011, three bills (HB 1452, HB 2177 and HB 2143) to expand our groundbreaking STEM and health care scholarship program were passed out of the Legislature with strong, bipartisan support. 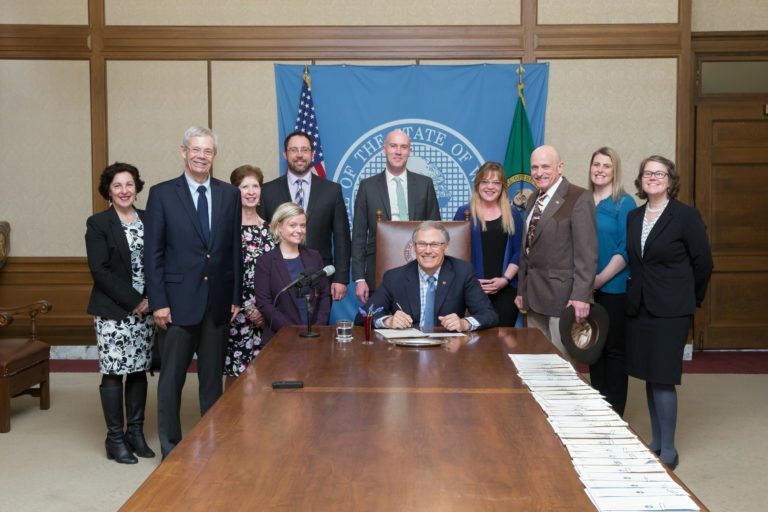 This historic momentum demonstrates a continued commitment from our state to invest in the education and training Washington students need to compete for jobs in our state’s economy. 2) Students pursuing high-demand graduate medical education programs who complete a service obligation in rural or underserved communities. You can read more about our expansion in the Seattle Times. The STEM workforce is growing in every region and every county of Washington state. This expansion acknowledges that we cannot solve our talent crisis without supporting a diverse education pathway and recruiting STEM and health care talent from all corners, neighborhoods, and populations within our great state. We are incredibly grateful to our legislative champions and to all of our industry and community advocates who helped make this expansion possible. We look forward to working with you as we continue building the next generation of Washington state STEM and health care leaders.